Prince Charles is the heir to the throne, has three homes in England, Scotland and Wales and is worth about $400 million. But did you know that he’s also a huge car enthusiast with more than 100 vehicles in his collection? 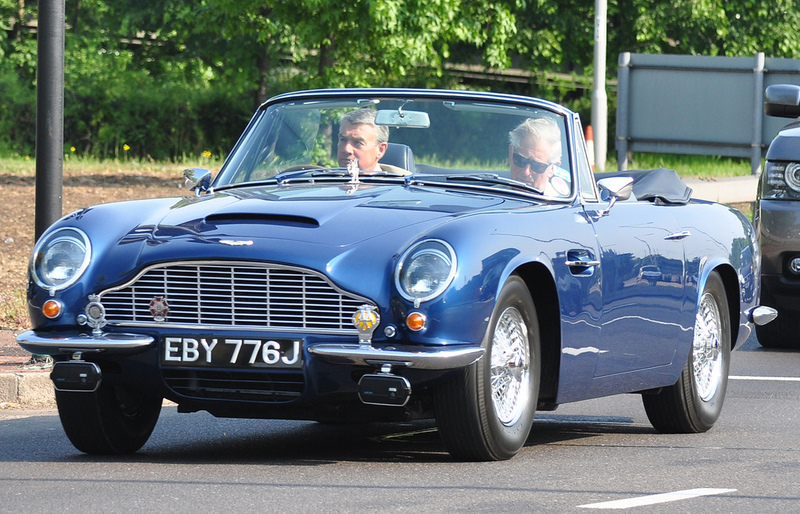 One of the most interesting cars is an Aston Martin DB6 Volante, which is powered by wine. His son, Prince William, famously drove it during his wedding to Kate Middleton in 2011. Prince Charles talked about the vehicle and its origins during a new BBC documentary celebrating his 70th birthday. “They discovered they could run it on surplus English white wine, but also I hadn’t realized that they had mixed whey into it too,” the Prince commented. “And also, it smells delicious as you’re driving along,” he added. The prince is an environmentalist, and most of the vehicles in his collection reportedly run on fuel made of cooking oil, reports Motor1. In addition, the Queen’s train has been transformed so it too is environmentally friendly. It’s not, however, a perfect solution. Earlier this fall Prince Charles acquired his first all-electric vehicle. His new “Loire Blue” Jaguar I-Pace is particularly unique because it’s the only model to be painted in that shade. The royal garage includes many luxury vehicles, including a Jaguar XJ, Audi A8, and several Land Rovers, Range Rovers, and Bentleys—the Queen usually travels in one of two bulletproof biofuel-powered Bentleys worth an estimated US$13 million each. Prince William has owned an Audi A5 Sportback, and his wife has had an Audi A3. Prince Harry also likes Audis and reportedly has an S3. The royal family isn’t stingy with their spending. Prince Charles’ trip to India, Malaysia, Brunei, and Singapore in 2017 with his wife Camilla, cost around $475,000. The prince earned around $28.6 million between March 2017 and March 2018. The money is used to fund Prince Charles’s “public, charitable and private activities and those of his family,” including the Duke and Duchess of Cambridge and their children, as well as the Duke and Duchess of Sussex.